This is a manual to proper HitmanPro usage. 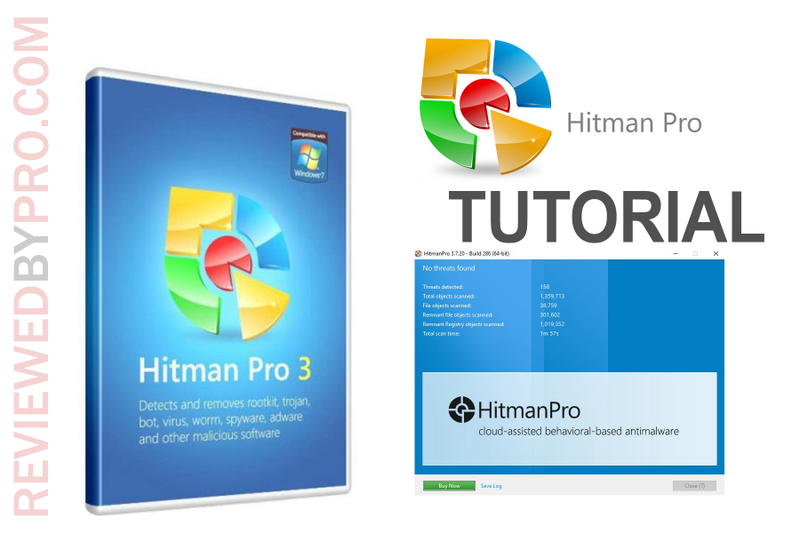 It will help you download and install the software properly, and you will learn the basics of the main features in HitmanPro. This antimalware software supports Windows XP (only 32bit), Vista, 7, 8.1, and 10. 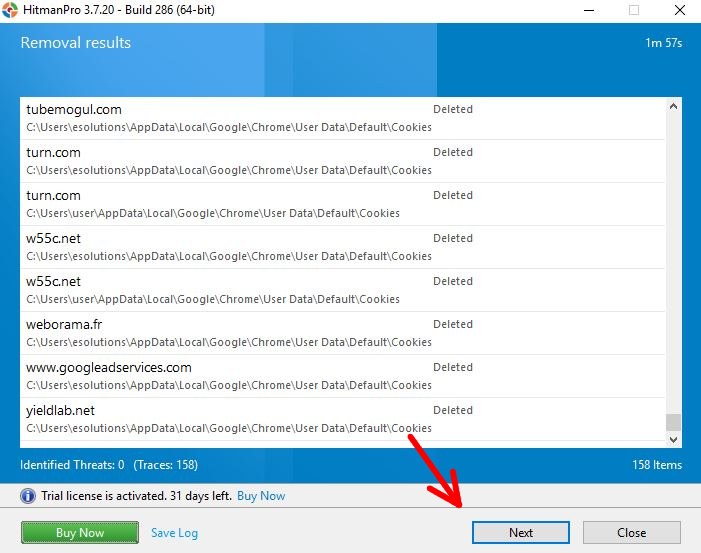 In order to use HitmanPro malware removal tool, you need to download the installation file first. You will find it on this page. You can choose to buy it or use the trial version first. Once you click on your choice, the download will begin immediately. 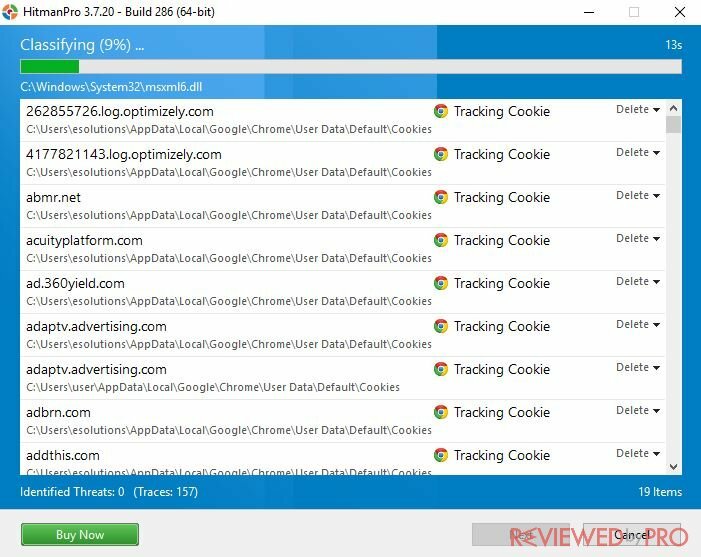 HitmanPro anti-malware is portable software that is very lightweight and doesn't require complicated installation. 1. 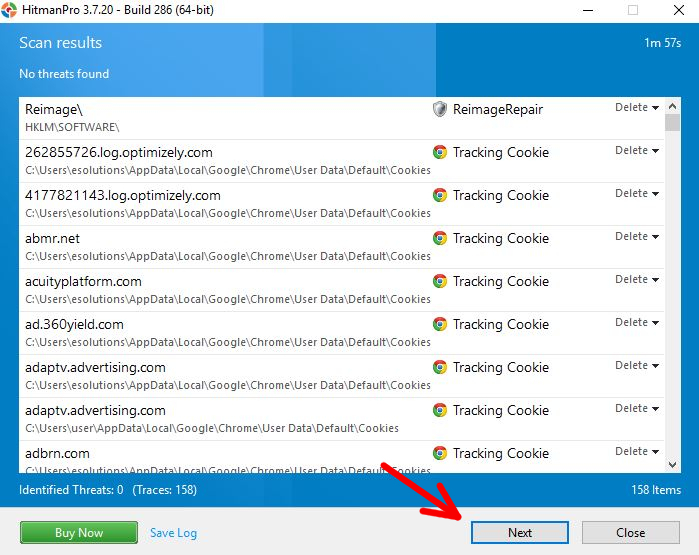 To begin using HitmanPro malware removal tool, just open the file that you downloaded from this website. On the window that shows up, click “Next”. 2. Here you can see the End user license agreement. 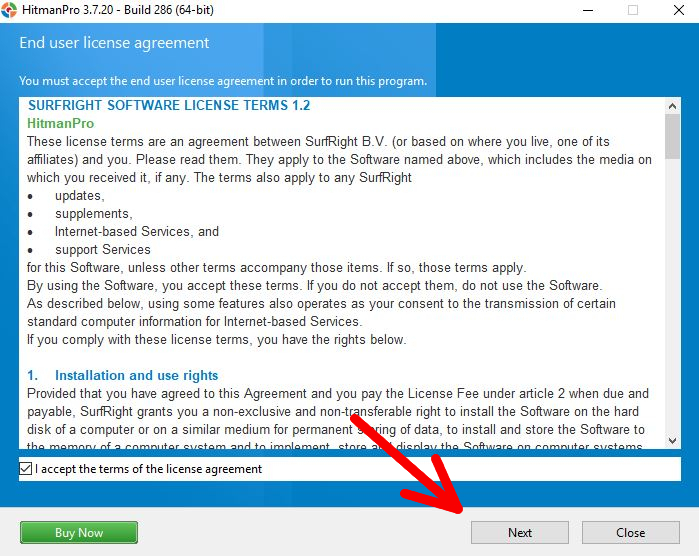 Read it carefully and press “I accept the terms of the license agreement”. Press “Next”. 3. You will be sent to the setup page. 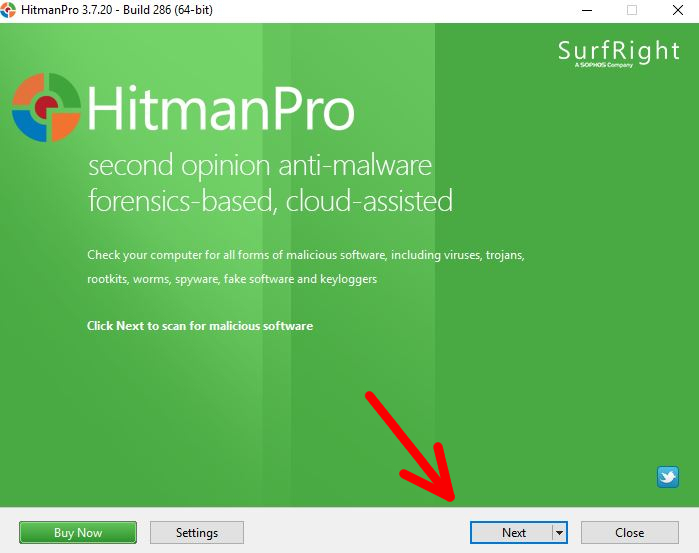 There you can choose from creating a copy of HitmanPro for your computer or performing a one-time scan to check the PC. 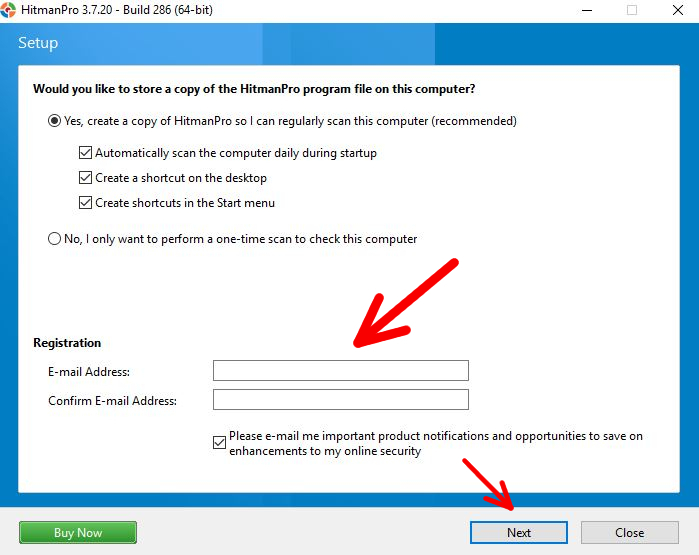 If you are going to use the program on your computer more than once, choose “Yes, create a copy of HitmanPro so I can regularly scan this computer”. Fill in the details about your email address and click “Next”. If you want to scan this computer just once – choose “No, I only want to perform a one-time scan to check this computer” and click “Next”. Now the application will be launched automatically and the scan will begin. To open the features menu, click on “Settings” on the main screen. Settings section – you can change the main program settings in this section. It includes display language and other settings, like unknown, suspicious files compressing before upload, restoring point creation before removing files, and more. Scan section – this section lets you change the scan settings, like the time of a scheduled scan and shell integration. History section – there you will find all the information about the past scans and quarantined threats. Quarantine list is safe and all files in it will not do any harm to your computer. You can remove or restore these files. Logs – in the History section shows all the details about past scans. License section – if you have a product key, you can activate the license by entering the key here. You can choose to activate the free license too, which will be activated for 30 days straight. Proxy section – you can change all proxy settings here. If you are a casual user, we recommend you to choose the “Use system proxy settings from Internet Explorer”, and not to change other settings. 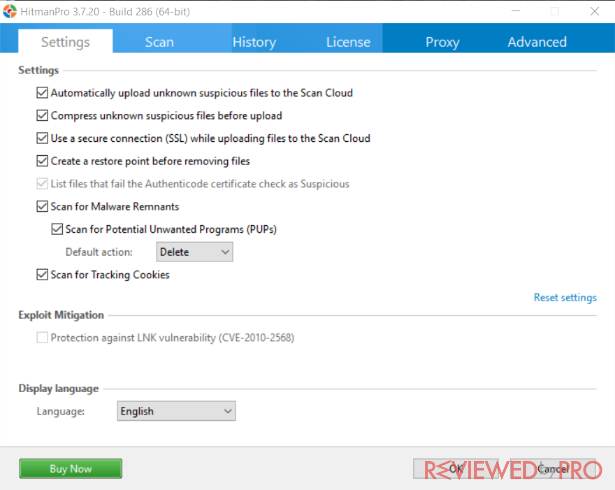 Advanced section – here are all the other settings, like disk access, VirusTotal services, and early warning scoring, which is recommended to use only if you are an expert in online security. There are two types of scans in the HitmanPro malware removal tool – a default and a quick scan. The default scan is a full computer scan, which will be able to find all the viruses. A quick scan is much faster, but not as effective – great for a quick check for the biggest threats. To perform a scan, open HitmanPro and you will be on the main screen. If you want to perform a quick scan, click on the small triangle on the “Next” button and choose “Quick Scan”. If you want to perform a full computer scan, just click “Next” and the scan will begin. After the scan is completed, choose what you want to do with the detected files – remove, quarantine or ignore them. You can get the full version of HitmanPro on this web page. Click on “Buy Now”, then select the most suitable plan and click “Checkout”. You will be sent to the checkout page, where you have to fill in the billing and paying information in order to proceed with your purchase. After filling the information, click “Next”. This is the last page. Check your order – if everything is correct, click “Buy now”. Congratulations, you just bought the full version of HitmanPro!